What our HONeys had to say about their experiences during our retreats. This trip was A M A Z I N G! Every little thing was taken care of, House of Notoire really did that! From the airport transfer to all the GTG curated hotspots and the complimentary hammam treatment, or the personalized goodie bags. It’s all in the details, and they obviously knew that. Our Riad was literally a hidden gem deep in the Medina. They also set the trip up in such a way that everybody could effortlessly connect with each other. And I absolutely loved that. I made some amazing connections, and had some of the best conversations with the other HONeys. Celeste from @celmatique made sure we created the best pictures with the #bestbackdrop(s) during our tour through the Medina and throughout the week. During her workshop, Awura from Creative Women Collective led us into some deep self-reflection. It was an emotional day, filled with good tears and really lifted a weight off our shoulders. Sometimes you just need a goooood cry and to vent with people who are great listeners and supporters! And let’s not forget, our super lit and super late nights lol. We danced, sang and talked the night away in our riad and really felt at home together. This was something I didn’t expect at all, especially since I’ve never been to on a group/ creative retreat before. Even though I expected the trip to be fun, I never could have imagined how it would exceed all my expectations! There were so many highlights during this trip and what it all boils down to is: I'm hooked and CAN’T WAIT for the next retreats! You've got a HONey for life. Thanks for EVERYTHING girls, y’all really really REALLY outdid yourselves! I joined the House of Notoire retreat not only to experience a new country but also to invest in myself and before setting out on this retreat to Marrakech, I kept a few goals in mind: seek creative inspiration, embrace new surroundings, take time to relax and reflect, network with other creative, driven women, and share inspiration while learning from others. By the time we headed back to Amsterdam, every one of my goals had been met. Marrakech is an exotic, magical city and it’s safe to say each and every one of us will carry this special experience with us into the new year and the years to come. @myriamneza from Belgium based in Paris, France. Marrakech and all the girls that joined this trip stole my heart! This was truly a once in a lifetime experience and I'm happy to have been a part of House of Notoire's (HON) first retreat. The attention to detail and personalization provided by HON was excellent. They also made sure that all the staff and drivers we had throughout the week were the same, so it really felt like coming into a family. The activities were great and the whole itinerary was a perfect balance of fun, getting to know the culture, developing your skills, rejuvenation and making lifelong memories. I recommend the HONeys Retreats to everyone - no doubt about it! What an amazing trip. 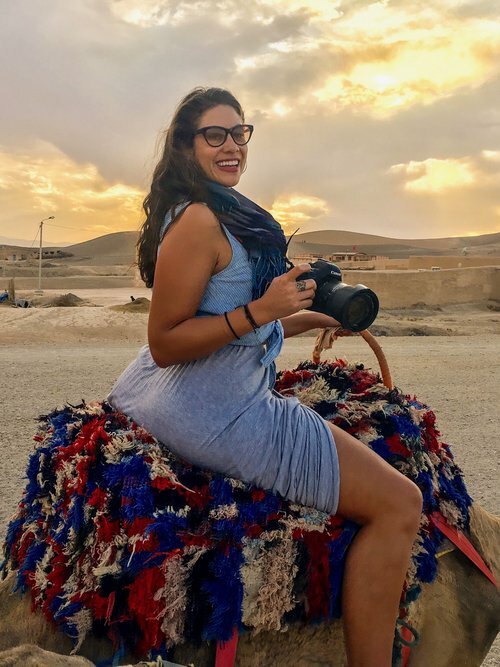 I have no regrets of travelling 24 hours to visit the beautiful city of Marrakech as well as being hosted by and meeting other incredible women from different cities around the world. This trip opened my world to unimaginable experiences in unpopular cities with cool women. House of Notoire gives one a true sense of boutique tailor made travel excursions. A very authentic and thoughtful process to all the experiential activities of the city that were put together for the guests. Everyone was friendly and warm. I left this Marrakech retreat happy, revitalised, inspired and looking forward to more House of Notoire trips in any city around the world. Simply packaged this quote below sums it all up for me. "That is the magic of travel. You leave your home secure in your own knowledge and identity. But as you travel, the world in all it's richness intervenes. You meet people you could not invent; you see scenes you could not imagine. Your own world, which was so large as to consume your whole life, becomes smaller and smaller until it is only one tiny dot in time and space. You return a different person." subscribe to our newsletter, and stay in the know. don't worry; we spread HONey, not spam.